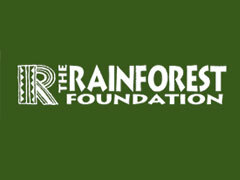 In celebration of the 25th anniversary of the Rainforest Fund, co-founders Sting and Trudie Styler announced a star-studded evening of performances at the Revlon Rainforest Fund Benefit Concert on Thursday, April 17, 2014. Musicians and performers of international acclaim will take to the Perelman Stage at Carnegie Hall to raise awareness and funds for the important work the Rainforest Fund provides to communities of indigenous peoples throughout Brazil and other countries including Belize, Cameroon, Costa Rica, El Salvador, Guatemala, Guyana, Honduras, Indonesia, Madagascar, Mexico, Nicaragua, Papua New Guinea, Peru, Suriname and Venezuela. With the generous support of some of the world’s most well-known musicians and performers, throughout 18 years of concerts of its kind, the evening continues to be one of the most sought-after tickets of the New York social calendar. Past performers include Elton John, James Taylor, Billy Joel, Bruce Springsteen, Tina Turner, Stevie Wonder, Paul Simon, Diana Ross, Bette Midler, Meryl Streep, Bruno Mars, Lady Gaga, Will Ferrell, Jennifer Hudson, and many, many more. Talent for this year’s concert will be announced at a later date. To purchase tickets, please visit www.carnegiehall.org.